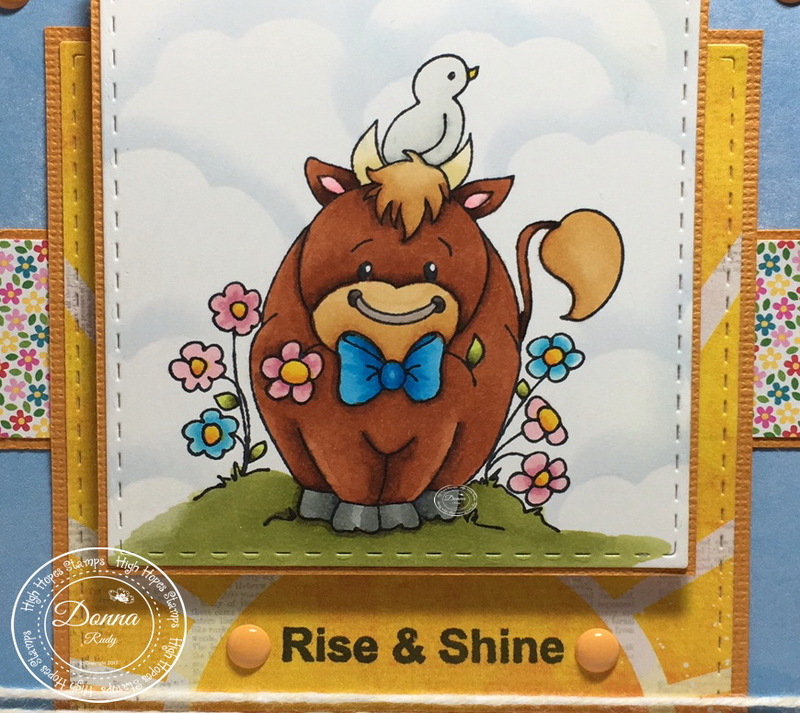 Kards By Krash Scrapper: Rise & Shine! 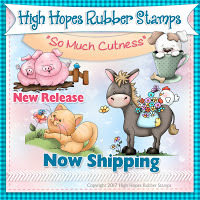 Welcome to the High Hopes Rubber Stamps " So Much Cuteness" new release! What better way to spend a Saturday then taking a look at the 17 new stamps and 16 new sentiments in this release. 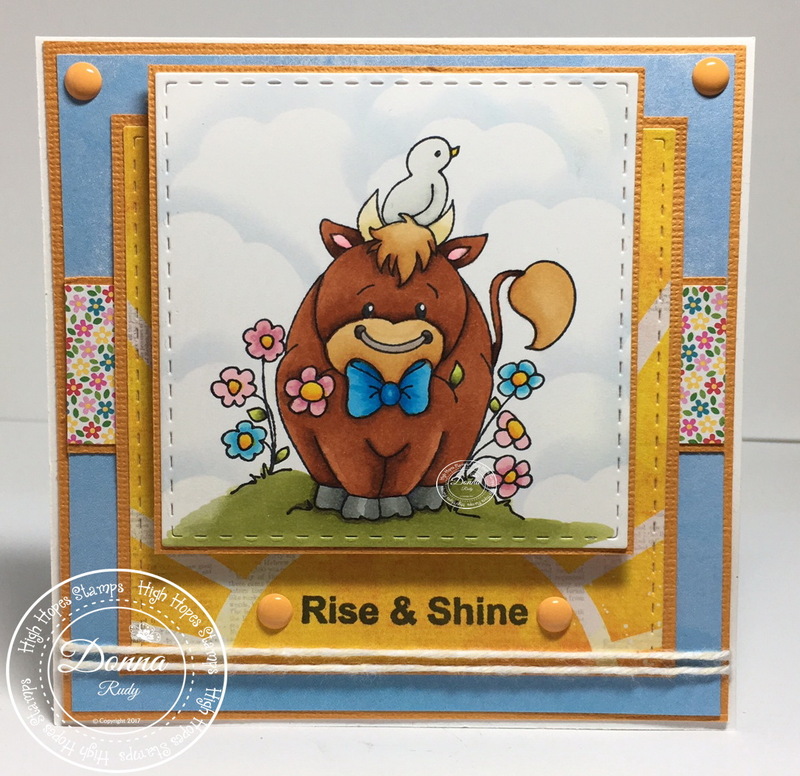 I have the honour of introducing you to "Oh Bull" and the "Rise & Shine" sentiment. My experiences on the farm growing up taught me to stay away from the bull in the herd at all costs......but if the bull was this cute, I'm not sure I would have heeded the warnings...........I don't know why but this guy just cracks me up and he is totally adorable to boot!!! After colouring my stamp with alcohol markers, I cut it out using a stitched square die. I chose some paper from Bo Bunny that looked like a sunrise which I thought was fitting with the sentiment. My dad in paticular used to love the say "Rise and Shine" to me when I was a kid so this sentiment makes me smile! 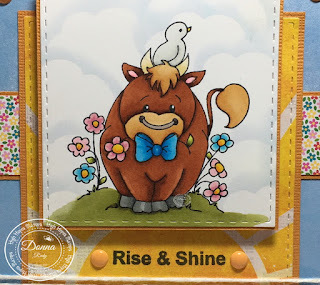 The sentiment is stamped directly on my patterned paper using my Misti....love my Misti!!! Some more patterned paper from Doodlebug and Lawn Fawn, and some twine and gumdrops to finish off my card.